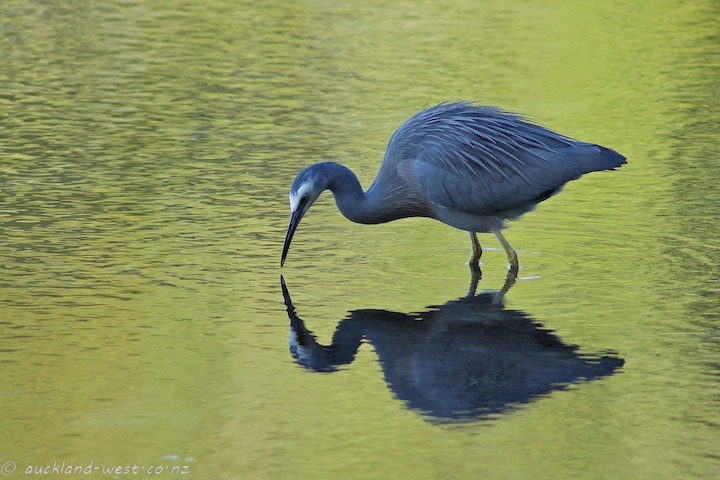 It might appear that this white-faced heron (egretta novaehollandiae) is studying its mirror image, but clearly it is looking for lunch below the surface of the water. (The unusual colour of the water is due to the diffuse reflection of a green hillside in bright sunlight.) Blockhouse Bay. hello, great bird in very unusual complimentary colours! Fantastic reflection! He really shows up well in this green lit water!